Technology firm Advanced Micro Devices (AMD) has appointed George P Johnson for its global events. AMD’s event-based marketing includes physical and virtual conferences as well as trade shows and meetings. AMD’s director of event marketing Allen Reichard said: "Events are a crucial marketing and communications channel for AMD. With GPJ as our partner, we can stay engaged globally while moving towards a centralised event marketing model to reduce complexity. We expect this move to streamline decision-making and ensure consistency of brand experience while improving measurement and return on investment." George P Johnson also works with technology giant Cisco, which is holding its annual Cisco Live event at the ICC London Excel next year. 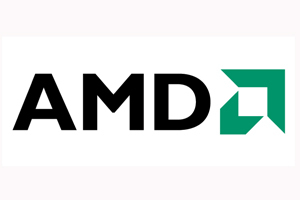 George P Johnson senior vice president Kim Myhre said: "We are extremely excited to be collaborating with AMD at such a global level. This win further highlights the growing shift in the market to create and deliver real engagement, developing lasting relationships with customers, employees and other key audiences through meaningful brand experiences."